Seemingly touching on the idea of mathematical music (ciphers, durational ratios etc.) that surfaced on his 'Disintegration Loops' work, 'Water Music II' is more overtly active than the preceding tract. 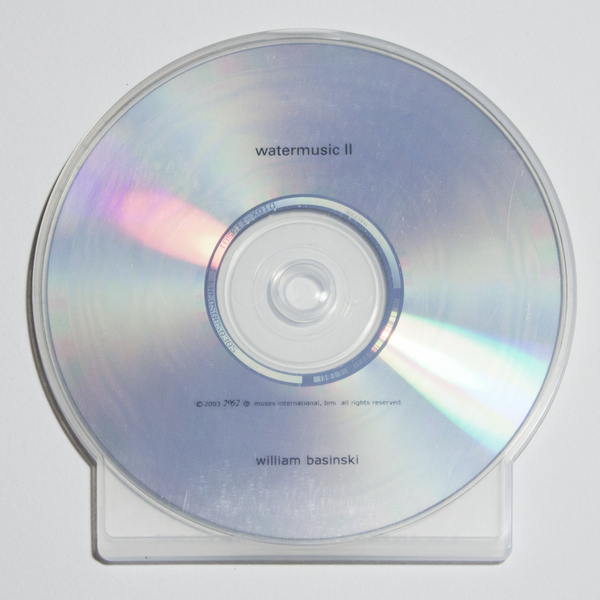 Spread over a single piece that tops an hour, 'Water Music II' has an undulating predilection that Basinski then goes on to obscure through diffused soundscapes of incremental intensity. Available on professionally pressed CD (not CDR) for the first time. Minimal packaging in the style of the original release (from 2003).